Michael Houstoun is so loved by New Zealand audiences that no season seems complete without him. Michael’s contribution to New Zealand music has been honoured many times over the decades since he was awarded the Turnovsky Prize in 1982. He has received honorary doctorates from Massey University and Victoria University of Wellington, is a Companion of the New Zealand Order of Merit and a Laureate of the Arts Foundation of New Zealand. For those who turn out in numbers to hear him whenever he plays, those awards represent a big thank you for all the pleasure he has brought them. We are thrilled to welcome him back to play chamber music with three distinguished colleagues. 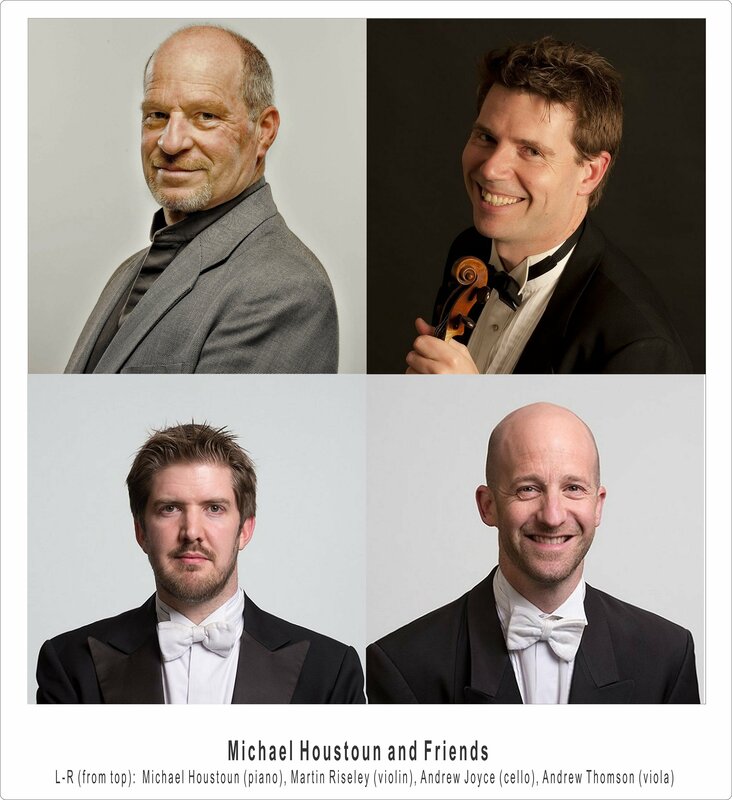 Violinist Martin Riseley (Head of Strings at the New Zealand School of Music) is joined by New Zealand Symphony Orchestra principals Andrew Thomson (viola) and Andrew Joyce (cello). This formidable team will present a programme of sumptuous piano quartets by Gabriel Faure and Johannes Brahms. The great Brahms A Major quartet is a complex masterwork written on a symphonic scale, while Fauré’s first quartet is one of the most popular of French chamber works, sparkling with colour, sophistication and melodic invention.